Superstar soccer/football player Cristiano Ronaldo will reportedly undergo a stem cell treatment procedure to try to mend a hamstring injury. Details of the treatment remain sketchy. Is really stem cells and if so, what kind? Marrow? Fat? Or is it just PRP going by the name “stem cells”? Ronaldo may be hoping to get a boost in goals from stem cells. I’m skeptical. BTW Rafa Nadal is back, too. Has anybody additional information of the choosen stem cell therapy? The more solid info we can get on such situations the better. Things are too vague about sports stars’ stem cell treatments. The Independent is a much better paper but even it has a history of hiring people who don’t know what they are doing. Namely me! I worked there very briefly before they found me out. Statistics will show that the efficacy of stem cell therapies for sports injuries is directly proportional to the amount paid raised to the power of self-importance. I predict Ronald’s treatment will be hugely successful. So of course it is n=1 and no evidence, but a good argument for stem cell therapies, if he will play tonight. 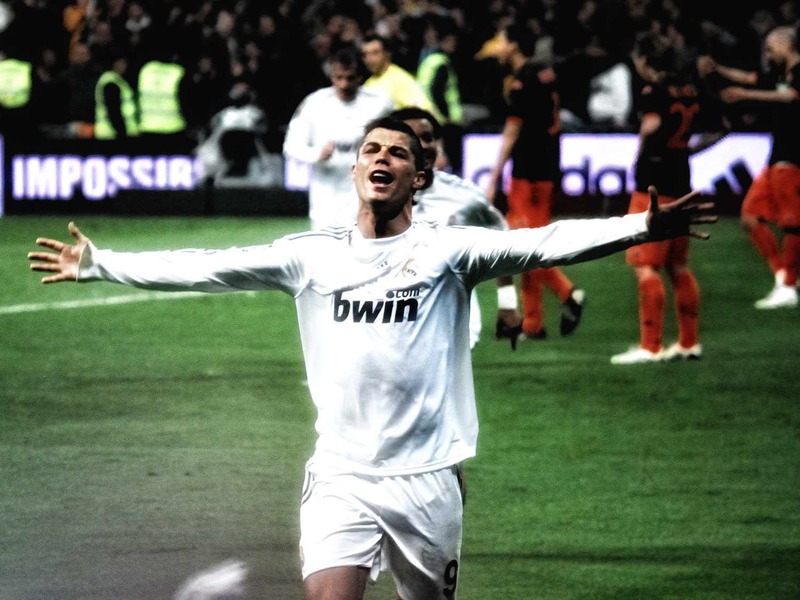 @Richie – Ronaldo failed to score and missed two good opportunities. Surely this is a good argument that stem cells don’t work? he has not played very well, but he was able to play … , so maybe stem cells have helped to heal his injury, maybe he would also be able to so the same without a stem cell therapy. In fact nobody knows. Have you already read the discussion about the Centeno-paper on this page? I think Dr. Centeno has shown that stem cell therapies in the orthopedics have a good likelihood to help in several conditions, so I can imagine that the stem cells could have helped Ronaldo, too. .
@Richie – “who heals is right” – I can run with that but show me the clear statistically significant peer-reviewed evidence of the healing in comparison to at least a placebo. Oh wait, n=1 again so no conclusion either way. Maybe he had a burrito before the match and this helped – the evidence is identical for both. sure, you are right, there is no evidence, but there is also no evidence for the opposite. @Richie – no evidence does not equal encouraging results for stem cells. It means you cannot tell if any effect was due to stem cells or burritos or something else. So by your logic there is just as much hope that burritos will work in all cases (depends on the cheese of course). But nobody is running a study concerning this question, so we will never have evidence, all we have/see are the encouraging n=1 cases. And you can call me a stem cell dreamer, but I believe that there is a good opportunity that these therapies could work, every n=1 case seems to be a little argument. Nadal is back, Ronaldo is back and there are more cases already. @Richie – if you only count reports in the popular press then you’re bound to get a very skewed opinion. But there are many more “n”s that don’t get reported because it didn’t work and it doesn’t sell papers. So none of the all n=1 cases are little arguments – multiples of “no data” is still no data. Could all be burritos. Btw, Nadal is injured again and Ronaldo’s stats were better in the match before he had stem cells, but nobody wants to hear that. but maybe your are missing the future of medicine. Why are you so sure that these therapies don’t work? I am not sure that they really work, but I think there is a good likelihood. Just take a look at our discussion about the latest Centeno-paper here on this page. Dr. Centeno presented big data which show a good likelihood for safety and efficacy of stem cell therapies in the orthopedics. And just take a look at Pauls newest article for some more n=1 cases – performed outside the USA – The USA is famous for the best medicine and medical innovations worldwide, but in this case the USA could maybe fall behind – maybe, So I think you should not say “never” to the possible success of stem cell therapies. @Richie – therapies that prove themselves to be effective demonstrate clear significant benefit compared to controls (remember those? ), and even better, compared to a standard-of-care. Anything else is just anecdotal reports and, while maybe interesting, cannot be used to determine if a drug really works or is really of benefit over other drugs. n=1 cannot tell you any of the above and hence n=1 are not demonstrations of statistical clinical efficacy. Can you show me exactly how Ronaldo’s stem cells worked, when they kicked in, what they actually did and when they stopped. And also that the effect he felt was not due to the burrito or other medications? Show me a “control Ronaldo” with no stem cell therapy to prove that in his case it was really due to stem cells? No. Believe what you like, I prefer to see scientific evidence. Over 5000 clinical trials using stem cells, over 600 using MSCs, over 100 in osteoarthritis and orthopedics. Of tho 5000 studies, 279 have been completed and results are available. Try reading something other than the Daily Mail! I’m curious what your take is on those studies you mentioned. What is the result of these studies? this is not true. There is not one study with a suitable control group concerning the discussed questions. We discussed the possible benfit of stem cell therapies in the orthopedics (for example to heal cartilage, just compare the application of Nadal, or to heal an injured muscle, just compare the application of Ronaldo). And there is not one study with a proper control group which tries to answer the question, if these therapies (for example PRP) give a real benefit to the patients. If you know a proper study concerning these questions, please let us know. But there is not just one. Hi Paul – there’s a lot of info in those studies, but here goes. Stats: of 5800 interventional studies (in US, EU, Australia and Japan), some 2300 were completed and 350 published with results – 40 of these were Phase 3 and mostly hematological malignancies or graft-versus-host-disease (GVHD). So, the first take-home is that the field is very young and most Phase 1/2 studies did not progress. But these stats are normal in clinical research and may be better than expected from a field where the dosing, route of administration, adjuvant therapies, and patient stratification are still not optimized. There were also around 5000 studies with bone marrow stem cells for blood cancers, and this field is more mature as you would expect from 50 years of transplant experience. 1. Proliferating stem cells, such as MSCs from varous sources, make up a sizable proportion of studies and many Phase 2 results didn’t achieve their primary clinical outcomes. This may be due to multiple responder types in a small cohort but also that the proposed mechanism of “supporting endogenous regeneration” is not working in general. However, suppression of immune activity is clearly happening. Not so good for regenerating tissue, but great for preventing further degeneration. I’m currently attached to a GVHD study and the response is highly significant compared to placebo. 2. Post-mitotic cells differentiated from stem cells is where the big news is. Several studies show new functional tissue after implant and these only need to be tweaked for dosage. I’m attached to a trial where MSC-derived autologous osteoblasts are implanted to treat osteonecrosis (NCT01529008) – again very significant effects with new tissue being formed. In summary, there’s a way to go before optimal therapies are found for many diseases. For some people, MSC type immune suppressive therapies will be a valuable new weapon (e.g. for non-responders to existing medicines), but for other patients these will not any better than current standards-of-care. I have a good feeling about replacement cell therapies though and see that the clinical optimization pathway is much clearer. It all looks fairly preliminary though. thank you, but considering all I learned about studies, stem cells by the discussions here on this site, I think theses studies are not suitable to answer the crucial question, if stem cell applications are going to have a benefit for patients in the orthopedics. But only 30 patients have joined this study, much too less to get reliable results. Where can I read this study ? I don’t know where to find (NCT01529008)? My brother was healed of avascular necrosis of his talus role by PRP as metioned some time ago, but he has left some small cysts in his talus role. Is this trial maybe eligable to fix the talus role maybe completely? @Richie – “theses studies are not suitable to answer the crucial question, if stem cell applications are going to have a benefit for patients in the orthopedics” Actually, they are – that’s exactly what phase 2/3 clinical trials tell you. Real trials with larger cohorts (groups of patients) of n=20-100 or more are “powered” to detect significant differences between treated and untreated cohorts. If there is no significant difference, it means that “therapeutic’ efficacy was not clinically significant” (remember this phrase – it’s what tells you if it works or not). This is what most of the cited reports are currently saying and it is a reliable measure because of the cohort numbers. Centeno couldn’t show “significant clinical efficacy” in any patients because he didn’t have a control cohort to compare to. These are interesting studies but, in your words, “are not suitable to answer the crucial question, if stem cell applications are going to have a benefit” For that we have the ongoing larger phase 2/3 studies. Type NCT01529008 in the search box on clinicaltrials.gov. The study is run by Bone Therapeutics SA (www.bonetherapeutics.com/en/preob). thank you, so I hope one day in the future we will get a definitive answer.